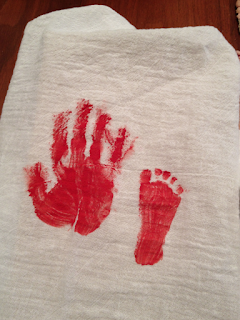 For Christmas, I made my mom and mother-in-law towels with Henry's footprint that look like a Christmas tree. 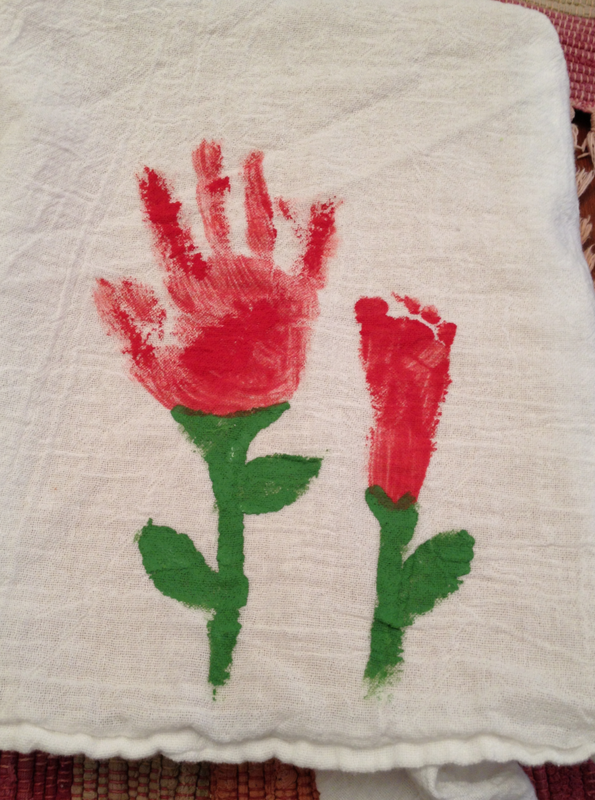 They were a hit, so I thought I'd do something similar that could hang up all year long for Mother's Day. I got some basic flour-sack towels at Target. They came in a pack of four, so I have two more for another craft sometime! I used this basic acrylic paint on the Christmas towels, and it worked well, so I brought it back out. 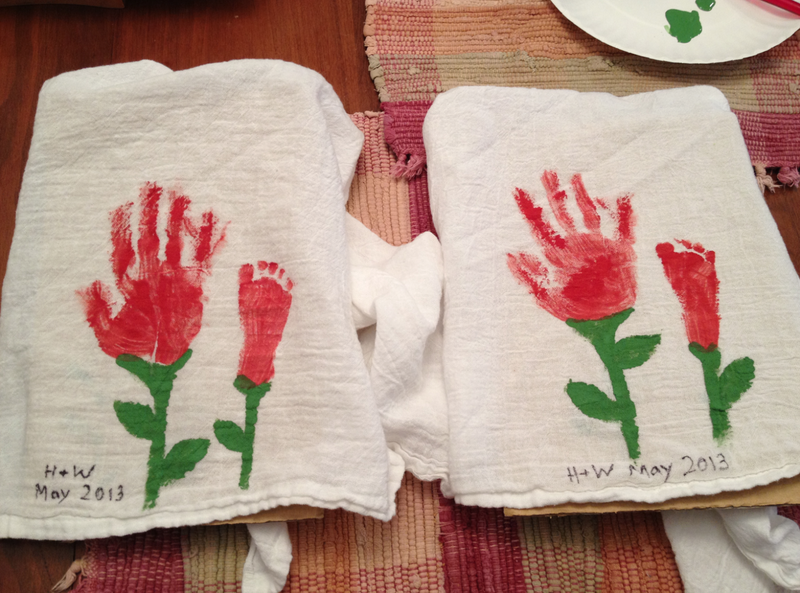 Henry, age 3, is pretty cooperative with handprints. I painted his hand and helped him press it down. He got it a little smeared, but you can tell it's his. I considered doing Wesley's, 4 weeks, hand, but the hubby thought a foot would be easier. Definitely was. Thanks to him for helping out. He held Wesley while I painted his foot and pressed it down. I don't know if I could do the baby print well on my own. 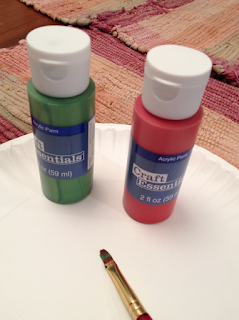 Also...I think next time I may use a color other than red. The may look a little crime scene like (yes, I said that), but they're still cute. I painted stems and leaves on the prints to make them look like flowers. 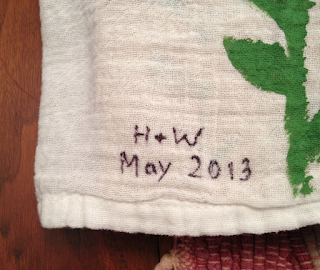 I then used a fine-tipped sharpie to sign/date the towel. That was it! I let them dry and they're done. I like how they turned out. Happy Mother's Day to all you mommies out there!